…And then the rains came! Simple Green US Open of Handball, Sunday Edition, featured not only finals action on the in & outdoor courts, but had a bit of everything, as the clouds came and with it rain. The Men’s 1 Wall Final between Timothy Gonzalez and Tywann Cook ended with a two-game victory for the returning champ (Gonzalez); meanwhile, the Women’s 1 Wall singles final had a 45 minute delay due to rain before Sandy Ng stepped back into the box to score three of the last four points, defeating Danielle Daskalakis 11-10. For Ng it’s back-to-back wins in consecutive years at the Simple Green event. Back inside, as the rain continued to cause havoc outdoors, Naty Alvarado and Marcos Chavez squared off in the WPH SR48Pro 40+ 4 wall small ball final, where a controversial ending saw Chavez win his second consecutive Simple Green US Open 40+ prize check w/a 11-10 breaker finish. Earlier on these same courts, Armando Ortiz faced Robbie McCarthy in the men’s elite R48Pro Final. Ortiz started off flat and never seemed to regain his verve, as McCarthy wins in two, takes the big trophy, ranking points and $10,000 in cash. McCarthy 21-5, 21-17. Marcos Chavez and teammate, Sean Lenning, win the pro men’s doubles (4 Wall Small Ball) over fellow LAAC stars, Vic Perez and Armando Ortiz 21-17, 21-19. 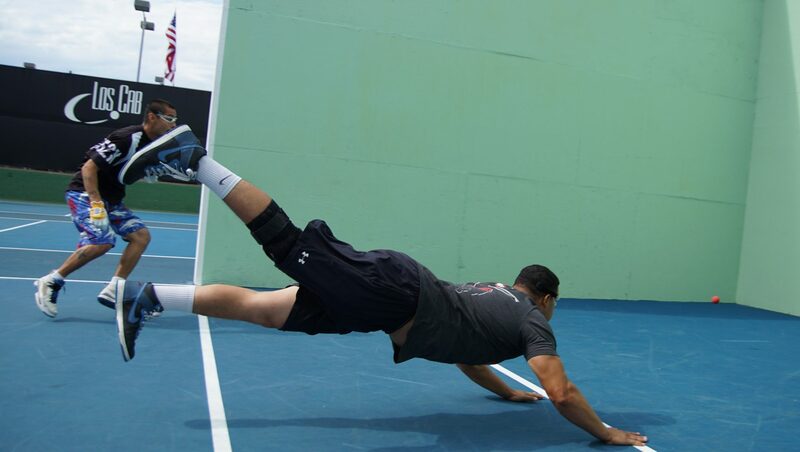 On the outdoor courts, Samzon Hernandez continued his three wall big ball singles run with an exciting crowd-enhanced entertaining singles final versus Josue Tellez. As you may recall, Hernandez promised the #WPHManCave in Tucson, AZ would become the home of his SGUSOH Trophy if he were to win in 2016, after having a horrible WPH Outdoor season. …well, Samzon had to pay up after his 21-8, 8-21, 11-0 thrilling finish; becoming the only player in Simple Green history to ever win a first place trophy in the same division in successive years. For those with flights, play a Monday match if all players or player lived in the same area. In one wall, the men’s & women’s doubles were determined by option one, as voted by the players (pooling prize money and awarding the first game winner(s) with the actual title) when James Aguilera / Samuel Sanford win the men’s 1 wall trophy; meanwhile, Sandy Ng / Danielle Daskalakis take the women’s 1 wall trophy. 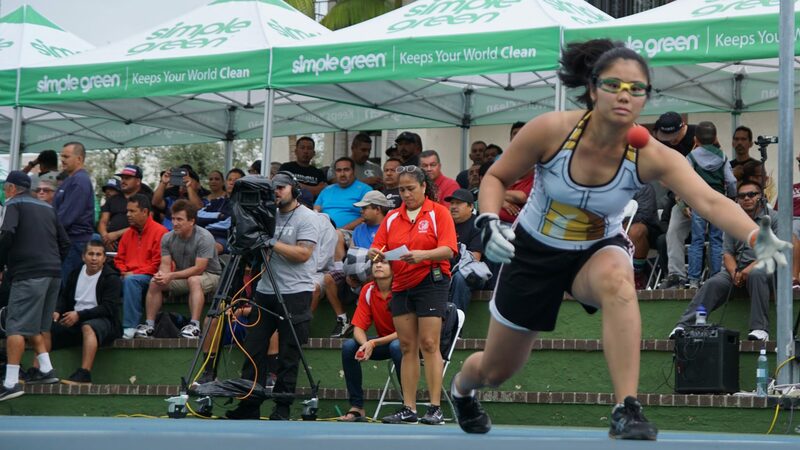 The men’s 3 wall big ball doubles players took option two above and immediately became the sight of the single greatest crowd size in the history of Los Cab with at-capacity fanatics taking in the action on the show court–All filmed and aired on ESPN3! In the end, Manny Suarez & Chava Cordova defeated Juan Santos & Alfredo Morales for that first place trophy in straight games. We will have more updates on today’s matches after the rain settles!! !